How cool is it if you can type in your own handwriting font in your favorite word processing programs or image editing software like Microsoft Word Adobe Photoshop or any Windows applications. You can then send a e-card in this Christmas with your own handwriting on it to your friends and surprise them! FontCapture, a web application developed to let you create computer font from your handwriting. There is no software required to download in order to generate the font you wanted and the best is, it’s totally free! 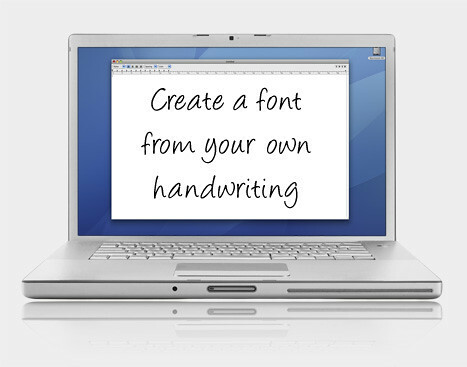 To create your own handwriting font is pretty simple. First, you will need to print out the font template form (in PDF format) and fill in the font with your handwriting. When you have done that, scan the filled form and save as an image file (prefer PNG but JPEG is OK too) in your computer. And then point your web browser to FontCapture website and upload the image template. Depend on your Internet connection, the whole process could take several minutes. FontCapture will then generate the fonts for your computer in digital format. Save the generated file in your computer for later use. The created font can be used in both Mac and Windows. To install a font in Windows, simply copy the font file to your [Windows Drive]:\[Windows Directory]\Fonts. For example C:\Windows\Fonts. To install a font in Mac, double click the font file and click “Install font” when prompted.